Heather has practiced law for over 20 years, in various areas of civil (non-criminal) litigation and in strategies to avoid litigation. The majority of her caseload involves bankruptcy, debtor/creditor relations, business disputes, and other legal issues involving debt, credit or money owed. Her clients are individuals, families, and small business owners with tax, debt or credit issues who are unable to pay their debts in full, and creditors who are owed money. She handles asset planning and protection, collections, exemption planning, debt relief and debt settlement, personal and business reorganization, guaranties, contracts, foreclosures, and many other disputes pertaining to finances. In addition, Heather has significant experience litigating and otherwise resolving discharge and dischargeability issues that can arise in bankruptcy cases, and she regularly serves as a substitute trustee in commercial foreclosures in the greater Charlotte area. She has served as a receiver and as the attorney for receivers and bankruptcy trustees. Heather is a reliable volunteer with local bar associations, having served as 2017-2018 president of the Mecklenburg County Bar, a 5400 member professional organization based in Charlotte. She served on the Board of Governors of the North Carolina Bar Association and North Carolina Bar Foundation (2015-2018). She also volunteers with Charlotte Center for Legal Advocacy (formerly Legal Services of Southern Piedmont) and Legal Aid of North Carolina, Inc., handling cases for people who would otherwise be unable to afford representation. Heather is proud to chair the 2018-2019 Access to Justice Campaign to raise funds to benefit these two local pro bono agencies. Heather’s husband, Chris, is also an attorney practicing in Charlotte, and together they have adopted a total of six Labrador Retrievers from local rescue organizations (the three most recent are pictured below). In her free time, she enjoys reading contemporary fiction (find her profile on Goodreads.com) and roots for her University of Kentucky Wildcats. We are a debt relief agency helping people file for bankruptcy relief under the United States Bankruptcy Code. 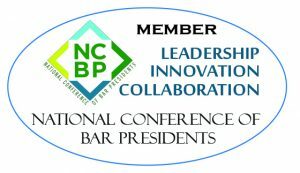 "New Website Puts Pro Bono Work Just A Click Away," North Carolina Lawyers Weekly, 10/25/18. "The NC General Assembly Convenes on May 16," Mecklenburg County Bar Newsletter, 5/1/18. 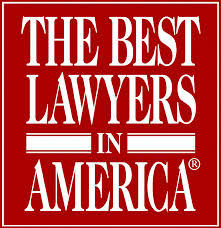 Recognized by The Best Lawyers in America © 2017-2019 in the area of Creditor Debtor Rights/Insolvency and Reorganization Law; 2018-2019 in the area of Litigation – Bankruptcy; 2019 in the area of Commercial Litigation. 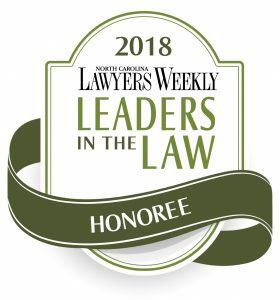 Recognized as a North Carolina Lawyers Weekly Leader in the Law honoree, 2018. 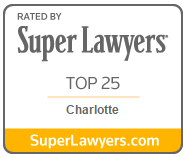 Top 25 Lawyers in Charlotte list, 2016 and 2017. 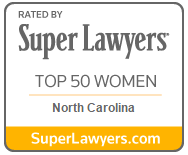 Top 50 Women Lawyers in North Carolina list, 2016 and 2017. Top 100 Lawyers in North Carolina list, 2016 and 2017. 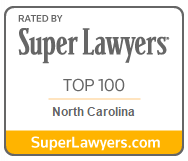 Super Lawyers list in consumer bankruptcy, 2015-2019. Rising Stars list in debtor/creditor relations, 2011-2013. Recognized by Business North Carolina’s Legal Elite in the practice area of bankruptcy, 2011-2016; highest vote getter, 2017. Recognized by The North Carolina Equal Access to Justice Commission, N.C. Pro Bono Honor Society Inductee, 2017. 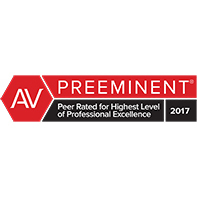 AV peer-review rated by Martindale-Hubbell, for ethical standards and legal ability. She took time, handled each legal situation separately. She was professional and thorough. Click here to read the full testimonial. Heather and Cindy are a phenomenal team. I 100% recommend them.